In a business environment, there is a continuous need of improving and developing the business to be able to stay in it, there is almost no company out there not to advantage of the benefits of a computer system for daily operations. Without the use of computer systems, a company is hard to have a place today’s business environment and still think is competitive. Everywhere in the business world and also in our day to day life, the use of computer is inevitable. It is essential that IT professional needs to have basic knowledge of use of computer, set up, customise, and maintenance of a computer system. This will be helpful in all the sectors like business, banking, use at home or any other use. The understanding of the functions of an IT system is crucial for being able to design, build, implement and configure a computer system for an organisation (Andersen, P. B., & Andersen, P. B, 1997). P1.1- explain the role of computer systems in different environments such as home, business, computer gaming, education, banking, Communication etc. Computer systems used at home – Microcomputers came in to existence with its invention in 1977 and have been widely used in 1980s. These computers were affordable and easily accessible to the consumers. Any non-technical person can use his computers. The home computers were focused in a specific market segment and the cost of which was comparatively lesser than the business, scientific and computers used for engineering purposes. Some of these computers were IBM PC which was of less memory and undependable memory. Graphics for home computers were a good attraction. Its sound system was also better than the business computers. Most of the home computers were used for playing video games. Today home computers are used for a wide range of tasks, especially for entertainment, games, email, voice messenger, etc. (Mumford, E., & Henshall, D, 1978). The business environment had changed in such way that computer manufactures are producing computers that can be used at home and at office, because of the way the people use to do business a home computer may be used for business computing, most of the computers are used for study and entertainment and runs demanding software applications, sometimes we may find more powerful computers in homes than in the offices. Computers used in Education - Elsevier Educational Research Programme had run a research and came to the conclusion that the relevance of computing and communication technology is highly inevitable in almost all the education sectors, cater training needs and also applicable in open and distance learning system. The distance learning industry couldn't develop in such way that exists today if the computers wouldn't be used. The use of computers in education has a primary role in easing the way that people are learning. Companies like Microsoft, Dell, Apple are always involved in education by offering discounts to education institutions for buying their products or creating promotions by giving large discounts of free products to students and teachers, products like Microsoft Office Student and Teacher at almost 50% discount, or Microsoft Tablet PC Surface at large discounts for students (Gelenbe, E., & Mitrani, I, 2010). Valdemar W. Setzer says in his study Computers in Education – In the light of some arguments about the use of computer system in elementary education, it is claimed that the essentiality of computer learning by students and our youth is highly inevitable as this is one of the crucial factor for moulding them for a better future careers. It is easy to learn computers in the present scenario where training and tutorials are available through online. The use of computers is widely seen around the world by a huge mass of people even without any special training on its use. We can see even small children are now use computer with an ease, whereas a few adults are still afraid of using the same (Valdemar W. Setzer, 2013). P1.2- explain the hardware such as RAM, CPU, HDD etc., software such as win XP, 7, 8, OSX, Windows server 2000, NT, Unix and peripheral such as keyboard, mouse, printer etc. components of a computer system. RAM: It is an acronym for Random Access Memory, a computer memory that can be accessed randomly; RAM is the most common type of memory found in computers and other devices, there are two types of RAM, DRAM (Dynamic Random Access Memory) and SRAM (Static Random Access Memory). HDD: Hard Disk Drive is a data storage device used by computers for storing and retrieving digital data (information) using rapidly rotating disks coated with magnetic material, in the last years they are started to be replaced by SSD (Solid -State-Disk), which is a DRAM based memory that are much faster and consumes less power than the HDD (Siewiorek, D. P., & Swarz, R. S, 1992). Motherboard: It is a printed circuit that has the principle components of a computer. This has connectors to connect to other circuit boards that can be slotted. This is one of the main components of a computer, without which the system is not complete. CD-ROM: This is a compatible disc which is read only. It can be used as an optical memory device for a computer system. All the data and information stored in the computer is stored in this memory, which can be reproduced and used at any time whenever necessary. Power supply: This is a device that helps the supply of electric power to an electric load. These are related to electric power converters that help in the conversion of electric energy to another. A computer is difficult to be used without a proper power supply. Cooling fan: This is a machine that is used to enable flow within a fluid. This can be gas or air. The fan rotates with vanes or blades that function on the air. CPU: This is the hardware component of a computer, which follows the instructions given by a computer program. Central Processing Unit (CPU) performs functions that are logical, arithmetical, and the operations based on the input and output of data. The invention of CPU has been taken place and the use of it started in 1960’s. In CPU manufacturing industry are many competitors, most notable of them are AMD an Intel, with Qualcomm and ARM in the manufacturing CPUs for smart-phones (Preece, J., Rogers, Y., Sharp, H., Benyon, D., Holland, S., & Carey, T, 1994). Operating System: It is through Operating System (OS), computer hardware get connected and communicate with computer software. The need of an operating system is essential to facilitate the use of computer and software programs. Microsoft Windows 8, 7, Vista, XP - PC and IBM are compatible operating system. Microsoft Windows is the most commonly found operating system. Apple MacOS - Apple computer operating system. This operating system has new features, applications and other technologies in built that are more advanced and easy to operate. Ubuntu Linux: This is a popular variant of Linux used with PC and IBM compatible computers. Google Android - operating system used with Android compatible smart-phones. IOS - Operating system used with the Apple iPhone. MS Office: This is an office suit in Microsoft windows. This has applications suitable for desktops, servers and services for Microsoft windows. MS Office is the product of Microsoft, which was launched in August 1, 1989. As we can observe from the multitude of the operating systems available, they are built to meet specific needs, some for PCs (for example, Windows XP, ) some for phones(for example Android OS, Windows Phone 8), some for Servers(for example Unix, Linux, FreeBSD). Computer peripherals - are electronic equipment connected by cable or wireless to a computer; "keyboards, mouse, scanner and printer are considered to be important peripherals". Some computer peripherals are optional component and these are very useful. By using printers, hard copy of any document can be taken through the personal computers. Using an image scanner, photos or any printed text can be feed in the computer. Input devices like joysticks are used to play games in the computer and it replaces keyboards to a greater extend for controlling games (Martin, J, 1973). Figure 7. Manufacturers of Computer Peripherals. P1.3 - Compare different types of computer systems such as super computer, mainframe, microcomputers e.g. personal computers; mobile computers etc. Minicomputers e.g. mid-range servers, workstations; mainframes e.g. large scale network systems; supercomputers etc. Personal Computers (PCs) - A personal computer (PC) is a general-purpose computer, useful for individuals, and which is intended to be operated directly by an end-user at home or office. Personal computers are in wide use in business sectors for everyday tasks like word processing, desktop publishing, accounting, photo and video editing, for using spreadsheet and applications related to database management. Personal computers serve the purpose of playing games at home. But nowadays PCs at home have more than an entertainment purpose, like navigating the web, studying, work from home, etc. Mobile Computers - Mobile computers are computers that are expected to be easily transported during normal usage, like Netbooks, Tablet PCs, and Smart Phones. The main advantage is the portability, even if they are not replacing entirely a PC yet, they can be acquired with different capabilities, some more powerful than others in term of computing power (Mumford, E., & Weir, M, 1979). Supercomputer vs. Mainframe Computers – They are the fastest type of computers, Supercomputers mainframe computers are very expensive and are employed for specialized applications that require immense amounts of mathematical calculations. For example, weather forecasting requires a supercomputer, simulation modelling or scientific research, fluid dynamic calculations, and petroleum exploration, nuclear energy research, or may simply be created to showcase the latest computing technology. Super computer differs from mainframe in many ways, of which the main one is the fastness of supercomputer in the execution of a few programs. Where, mainframe helps in the concurrent execution of many programs (Levy, H. M, 1984). Conclusion: The computer systems are built and marketed to address the specific needs of individuals, companies and countries. They are categorised by the computing power and size, of operating system. At the first look it may look like there are too many types of computers and operating systems, but the way they are classified is done just to meet the individuals and corporations’ needs, to be efficient and cost and energy efficient and effective for both the home users and/or companies (Moran, T. P, 1981). Get Complete Solution From Best Locus Assignment Experts. P2.1- Produce a system design specification to meet a client’s (Smith Solicitor) needs. Scanners should be installed for scanning important documents. The scanner installed should be high quality so that high quality images are obtained which are readable. Speakers of quality sound should be installed in conference room. External Storage Devices: Various storage devices like CD-Drives and pen drives are used for quick transfer of data or for carrying the data. RAM: RAM in system should be 4GB, for better processing speed and hence various processes can be run simultaneously. Router: Highly secured network components, such as Cisco Router, will offer always connected to network if a right provider is chosen. Software requirements: Major software requirements will be Microsoft office, Lync, operating systems such as Windows 8, system security software such as a Firewall, Antivirus, Malware and any other kind of treats. P2.2- Evaluate the suitability of a system design specification for Smith Solicitor. Bit defender Business Pack, is designed for small businesses, one license for all the systems in the company, including tablets and smart phones. Windows 8 Pro: It is flexible, modern, easy to implement, with ease to understand user interface, scalable, all the hardware manufacturers are making devices compatible with Microsoft Windows. Microsoft Office: It comes with various software like Word for document processing, Excel for spreadsheets, very useful for accounting, Power Point for enhancing the look and quality of the presentation, (Sahner, R. A., Trivedi, K., & Puliafito, A, 2012), Outlook for sending and receiving emails in a secure way, One Note for and note taking program, employees in a company feed their ideas in electronic form and in an attractive manner by making it colourful and created as icon, which is easily clickable, a simple way to gather, format, organize, and share information (Moto-Oka, T. (Ed. ), 2012), Access for databases, useful for the admin staffs to handles the payments, client’s information, maintain liaison with the clients, partner’s information and keep record of staff in and out and Publisher for the marketing, and professional printing. Microsoft Publisher is a desktop publishing software application capable of producing greeting cards, business cards, leaflets, certificates, newsletters and other printed publications, electronic newsletters and email templates. A variety of in built document templates are available which can be freely downloaded from Microsoft online services. Lync enables instant messaging for corporate environments. Many people across the world can gather together in this platform. In a long run, the hardware and software I chose to build the systems, are cost effective, easy to update and maintain. They are built with ever expanding and changing business needs. P 3.1 – Build and configure a computer system to meet Smith Solicitor a design specification. Take all the health and safety measures to ensure the area is clear and secure, make sure you wear antistatic wrist straps. 2: Prepare your case: The case is to be examined and prepared accordingly. 3. The connection between CPU and monitor has to done first. This connection is done by the blue cable as shown in the below figure. One end of the cable goes behind the CPU and other behind the monitor. 7: Connect Power Supply: Now it is required to connect the wires to the power supply. 8: Boot the system for First Time: Now the system has to be booted for installing operating system. 9. Start Setup: Enter the disk containing operating system in the cd drive and make sure the BIOS setting is correct. After the computer is started the Windows setup will launch and it will load all the important files. Below image shows how the system screen will look like at that time. 10. The next step is to select the preferred language. In our case it will be English. Below screenshot shows the same. 12. After this, the terms and conditions page appears on the screen. The user should read the terms and conditions and if satisfied check the box and click next. Below screenshot shows the same. 13. After this the user will be provided a choice with a type of operating system installation. For the 1st time installation the user should select custom option. The screenshot shows the custom option selected. 14. The next step is to select the drive where the user want to install operating system. The screenshot shows the allocated drive where the user is installing its operating system. 16. The computer then asks for username and password. Enter the same and click next. 17. Next the user have to type the security key which [s]he would have received with the licensed Windows [s]he purchased. The snapshot shows the 25 digit unique key entered by the user. 18. In the end, setup date, time and network settings and then the windows desktop will appear. The snapshot shows the desktop. 18. Install the other software application: Finally all the required software application program can be installed to the system. 19. Test the system: It is now the time to test the system. If there are any issues pertaining to the installation or in the connections, these are to be addressed now so that further complications in the system can be avoided. 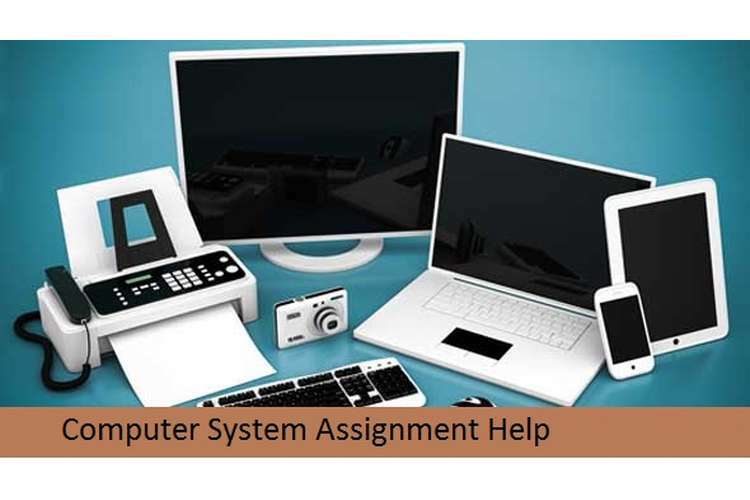 After configuring a computer system or in case of a troubleshoot a computer system must be tested in order to make sure it is working or find out what is the problem. In both cases are many methods that can help in finding where the problem is if there is one, and offer the right solution. The computer can have multiple problems and a repair may not always solve the problem. Most of the time finding out the problems takes longer than to solve it. After the problem get solved, we need to document it. The testing process involves identification of what need to be tested. This can be known from the current program specifications. In order to test each module, it is required to identify which test is to be used. A revision of the test data and test cases has to be done. This ensures the proper functioning of the unit. The expected result of each test has to be known after this. The test case configuration, test data, and expected results are to be documented at the time of the test process. Using Unit/System Test Report (STR), information on the documentation are submitted. Unit testing is done before unit is gone through component integration/system testing. For a successful unit testing, generation of bug report is essential. After this, test documents are to be submitted, reviewed and revised if required (Jain, R, 2008). Operating system is performing all the tasks. Routine maintenance for a computer is necessary to be made in order to prevent data losses, interruptions in the computer working, performance changes. It should be started from the OS to the leads and cables that connect the computer to the electrical socket and network router. Routine maintenance is regarded as a cost and time savers. Through routine checks, businesses benefit by finding earlier signs of as possible system fail and preparing the solution before any loss to happen. So, maintenance has to be done for hardware, software components and also for operational reasons. 1. The computer hardware is needed to get refreshed which can be done through a shutdown of the computer. As a part of computer maintenance, the hardware has to be power cycled and kept off for one minute at least on a weekly basis. It is always better to power down the hardware at any time whenever it is not worked. 2. Improper air flow in to the system has to be prevented as a part of the hardware maintenance. (Storey, N. R, 1996). 3. Clean all the cables and make it sure that they are well attached to the CPU. 4. Maintain all your input components like keyboard, monitor and mouse. All the components should be kept clean all the time and use standard equipment for cleaning the devices. 5. Clean your CD drive with soft cloth. 6. Check that power connector is working fine. Any problem in that can cause short circuit. There can be managerial and technical issues related to the software which forces to do the software maintenance. Some of the vital issues in the managerial part are related to the fulfilment of customer priorities, number of employees to do the maintenance, maintenance cost and so on. Once the software is operated and then any issues come up with the software, then it is considered as the maintenance work. Software maintenance is done in order to secure the software for a long run. Software maintenance may last for around 20 years. Software ensures easy to use, increased customer base, increased efficiency levels and so on. Cloud based software, Like Microsoft Office suite, is auto upgrading at no extra costs once an upgraded version is released. 1. To fix any defect or errors that are coming in the applications which are running on the computer. 2. Sometimes, software maintenance is done because there are some changes in hardware specification like new hardware upgrade etc. 3. Software maintenance can be done to meet new requirements which are done on the system. Changes can be done because of the performance improvements in the system. 4. Software maintenance is also done for adding comments or making some design. 1. An updated and good anti-virus program should be installed in the system and should be updated time to time. 2. Virus definitions of the antivirus should be updated time to time so that it can be protected from internal or external threats. 3. Firewall should be installed to safeguard computer and should be on to safeguard the system. 4. Uninstall all the unnecessary programs in the system. P4.2 - Upgrade the hardware and software on Smith Solicitor’s computer system. The hardware I chose is expandable, interchangeable, and able to take more RAM, HDDs, newer CPUs, and many other things. As the firm will grow, there will be need for better software and for these software there will be requirement of hardware upgrades also. Hardware can be upgraded if the user wants more processing speed or high performance from the systems. In the coming years, systems may require more space as the data will grow in the system and hence for this there will be requirement of up gradation of HDD. The software upgrades are possible whenever there is any patch needed or there is any change in external environment. The software have to be regularly checked for updates and if there is an important update then the new version should be downloaded and installed quickly, this will enable users to do more complex work and increase their productivity. Operating software can sometimes requires upgrade because of the performance issues or because some critical software require higher version of OS. Other software like antivirus or firewall should be updated time to time because it keeps the system protected from internal and external threats. The updates are required because there are new viruses which are born daily which can affect your system and cause data loss. Hence, the antivirus should be updated against these virus definitions and hence no virus can attack the system. Storey, N. R. (1996). Safety critical computer systems. Addison-Wesley Longman Publishing Co., Inc.
Jain, R. (2008). The art of computer systems performance analysis. John Wiley & Sons. Preece, J., Rogers, Y., Sharp, H., Benyon, D., Holland, S., & Carey, T. (1994).Human-computer interaction. Addison-Wesley Longman Ltd.
Sahner, R. A., Trivedi, K., & Puliafito, A. (2012). Performance and reliability analysis of computer systems: an example-based approach using the SHARPE software package. Springer Publishing Company, Incorporated. Levy, H. M. (1984). Capability-based computer systems (Vol. 12). Bedford: Digital Press. Singh, N. (1995). Systems approach to computer-integrated design and manufacturing. John Wiley & Sons, Inc.
Mumford, E., & Weir, M. (1979). Computer systems in work design--the ETHICS method: effective technical and human implementation of computer systems: a work design exercise book for individuals and groups. Wiley. Andersen, P. B., & Andersen, P. B. (1997). A theory of computer semiotics: Semiotic approaches to construction and assessment of computer systems (Vol. 3). Cambridge: Cambridge University Press.